When it comes to green energy investment, business process outsourcing is somewhat of a popular practice. Hiring a market research analyst to survey land plots, coastlines and regions to identify where wind turbines and solar panels would be most productive secures the validity of initial investments. It doesn't make sense for an enterprise to spend tens of millions of dollars to set up four turbines if their energy output fails to produce a positive return. Physical ecosystems aside, state political and economic climates must be regarded. Delaware Online noted how the Bluewater Wind and Cape Wind proposals have been on the table for years, yet the projects haven't made a lot of headway. Maryland appears to be a more favorable option than Delaware or Massachusetts because of legislation that obligates utilities to source a portion of their electricity from offshore wind power. A federal tax credit for wind turbine construction endeavors recently expired, meaning the cost of building offshore farms may not be worth the investment. Implementation is quite expensive, and actually increases the rates utility customers have to pay on a monthly basis. At first glance, the most profitable areas of the country appear to be along the coast line. Red highlights from Maine to Georgia show that the average turbine in those areas will produce anywhere from 600 to 800 watts per square meter. Even the great lakes are painted with red and purple, the latter color signifying machines will create between 500-600 W/m². Revisiting Maryland, the Chesapeake Bay will produce a "good" amount of energy according to the NREL - generating 400-500 W/m². 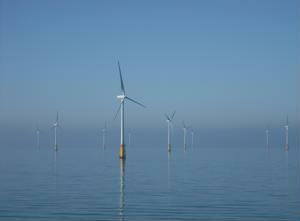 However, if windmills were to be constructed outside of the Bay, turbines would output about 100 W/m² more. What are the challenges? Distance and maintenance. The farther wind turbines are from easily accessible ports, the more difficult it is for utilities and other maintenance crews to resolve any issues if they arise. Not to mention, strategic sourcing specialists would have a difficult time delivering massive turbine materials 25 miles off the U.S. coast.